When I took the 2000 Bar Exams, I used to go every Thursday at St. Jude Church (Saint of the Impossible) and every Wednesday at Baclaran Church (Mother of Perpetual Help). 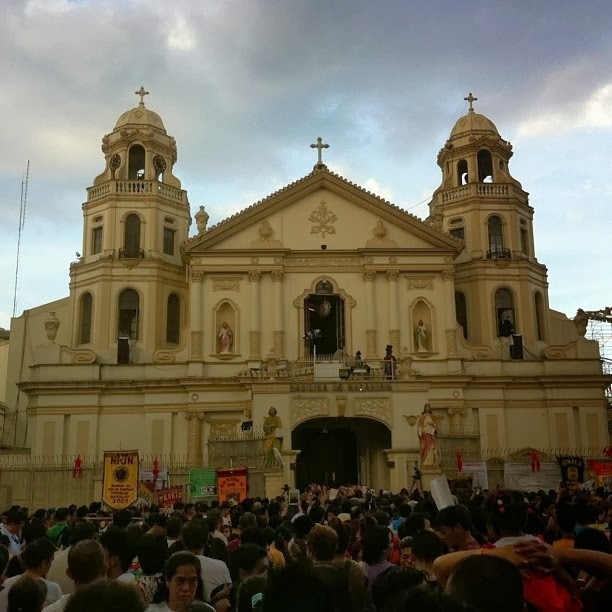 It never came to my mind to attend mass at Quiapo Church. Maybe because I was already a devotee to St. Jude and the Virgin Mary. But when I started teaching in Far Eastern University (FEU), due to its proximity from my place of work, once a month I made it a point to go to Quiapo church. I started teaching in FEU year 2002. In my years of teaching in FEU, it was a burden on my part to attend classes during the Feast of Black Nazarene. The traffic caused by the procession and the feast itself was really beyond one's imagination. The number and the magnitude of the devotees were overwhelming! I had no idea then why.. This year it was different. Let us just say that I was curious and I had to satisfy my curiosity. 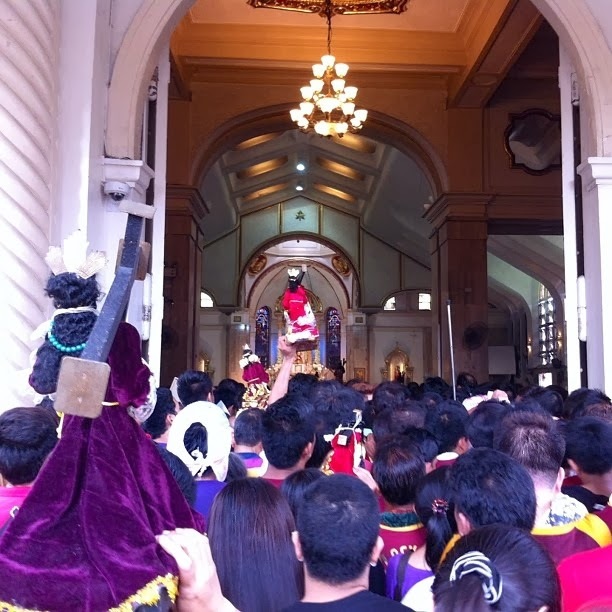 I have attended so many feasts and festivals all over the Philippines. But this one is unique in the sense that the devotees would really end up hurt or injured by joining the "Andas" or the procession itself. And so, I decided to see for myself and bear witness to the 2014 Feast of the Black Nazarene. 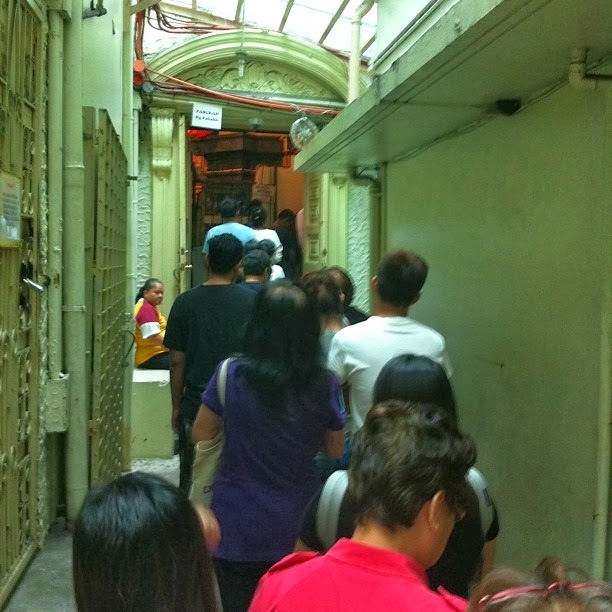 Two days prior to the date of the actual feast, I joined the line and experienced the "Pahalik." After doing it, I felt different. I was excited to see the feast itself. I went to Manila from Batangas past 1 pm on January 9, 2014. From Buendia LRT station, I boarded the train to Carriedo LRT station. 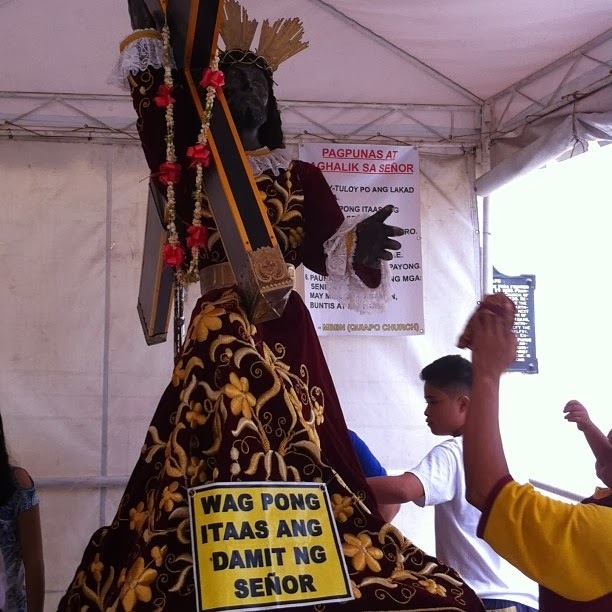 Upon alighting, I already saw the magnitude of devotees joining the Feast of the Black Nazarene. 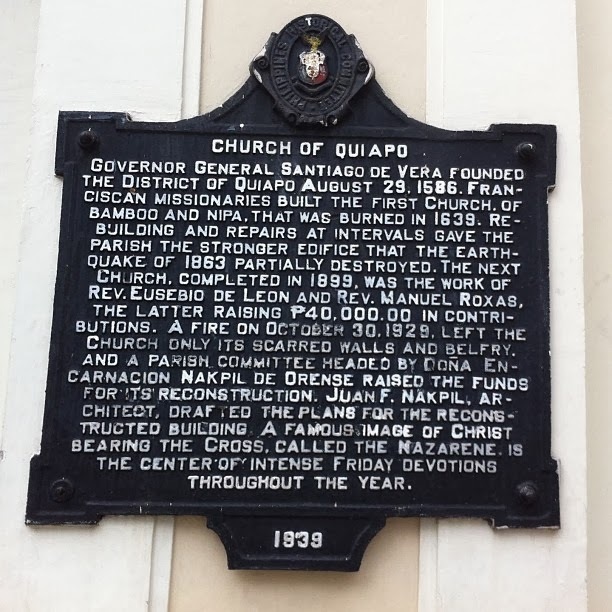 I walked towards the Quiapo church. Normally, it takes me only five minutes to walk towards the church. But this time it was different, it took me almost 40 minutes before I reached the entrance of the church. There were so many devotees. It was a good thing that I was able to reach the church on time and I attended the on-going mass. I have had attended mass in my entire life but this was different. I felt blessed and touched by the Holy Spirit and I even cried while singing the "The Lord's Prayer." After the mass, I decided to walk from the Church towards Central LRT station. I witnessed the various emotions, situation, and predicament of the devotees. I wanted to see the "Andas." But there were simply so many people that day and I felt exhausted. I was able to see the procession from the Quiapo Bridge. Before going back to Batangas, I bought a replica of the Black Nazarene for P450.00 for my mother. I arrived in Batangas past 7pm. It was one experience worth repeating and I decided that this will now become a yearly activity for me. If I can go to Sagada every year and bear the 12-hour travel, then, I can also at least attend the mass every year during the Feast of Black Nazarene. 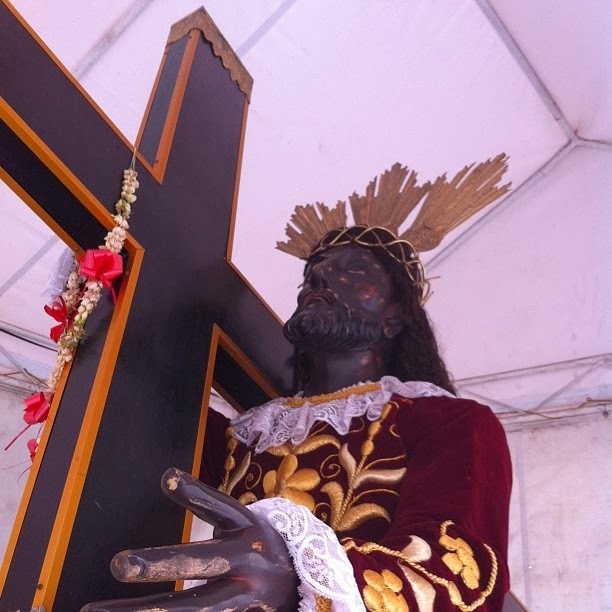 Now I know why there are so many devotees to the Black Nazarene. I cannot put in words because you have to be there and feel it. And I did felt it.